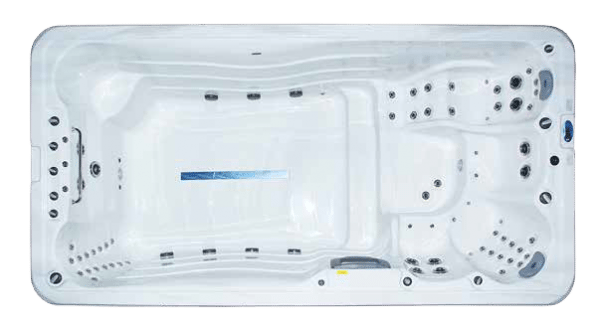 The 5.5 Series Extra Depth Swim Spa is taller than most swim spas with deeper water in the plunge pool / swimming pool / aquarobics area to better cater for your swimming and exercise needs. 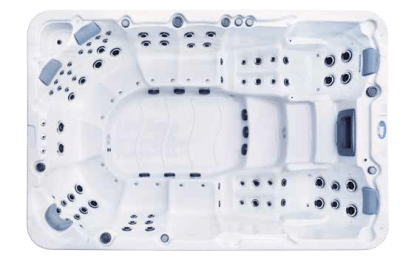 It includes 2 to 3 seats, and has the following massage jet configuration: 4 (Swim) +33. 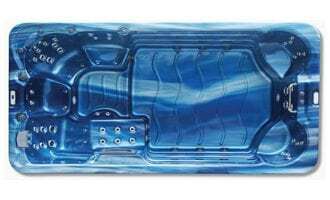 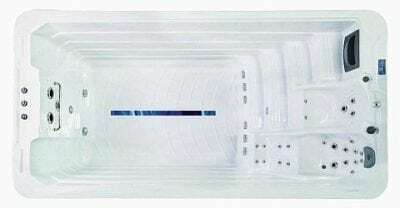 Extra compact, the 3.9 Series Aqua Swim Spa is a plunge pool, never ending swimming pool, hydrotherapy spa and aqua-aerobics centre all in one. It includes 6 seats and has the following massage jet configuration: 10 (Air) +4 + 38.